Is your HVAC system ready for the winter? 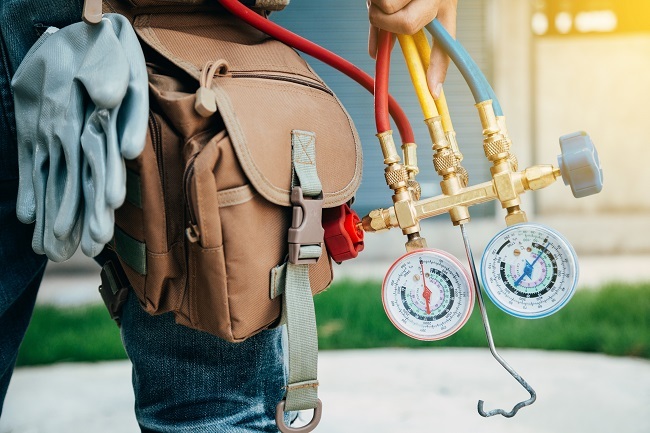 It’s important to take the proper maintenance steps to ensure that your HVAC system works smoothly all year round. Here are four important winter HVAC maintenance tips. You should be changing your HVAC filters on a regular basis. Airborne particles get stuck in them, and when they are dirty, your HVAC system will not work at its full potential. It will have to work harder to do the same amount of work, costing you more on your HVAC bills. It’s recommended to change your filters once every three months at the minimum, but more often if you use your HVAC system a lot. You should be cleaning your vents and your ductwork regularly as well. Not only that, but you should be checking to make sure that there are no leaks in the ductwork. If there are, have them sealed or get new ductwork. Insulating your home properly for the winter is important for many reasons. It will prevent cold air from coming into your home and warm air from escaping it. This means that your heating system will have to do less work, which will save you money on your bills. Make sure your attic is insulated properly as well. Make sure your thermostat is working properly. A thermostat that is detecting improper temperature levels will increase your heating bills and cause you to be uncomfortable by not heating your home to the proper temperature. Proper calibration is important for smooth HVAC operation. You should also consider getting a smart thermostat that will automatically adjust itself based on indoor and outdoor temperatures to help you save money and stay comfortable. Contact us today for more information.